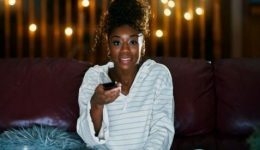 Home / Articles tagged with "Dr. Howard McNair"
Articles for Tag: "Dr. Howard McNair"
Is watching TV making you less sympathetic? Reality television may be influencing more than your nightly plans. Research shows that having a planned cheat day can help you stay on track to achieve your fitness goals. New research shows that having a planned cheat day can help you stay on track to achieve your fitness goals.